The April Daring Baker’s Challenge was hosted by Wolf of Wolf’s Den . She challenged us to Spring into our kitchens and make Easter breads reflecting cultures around the world. 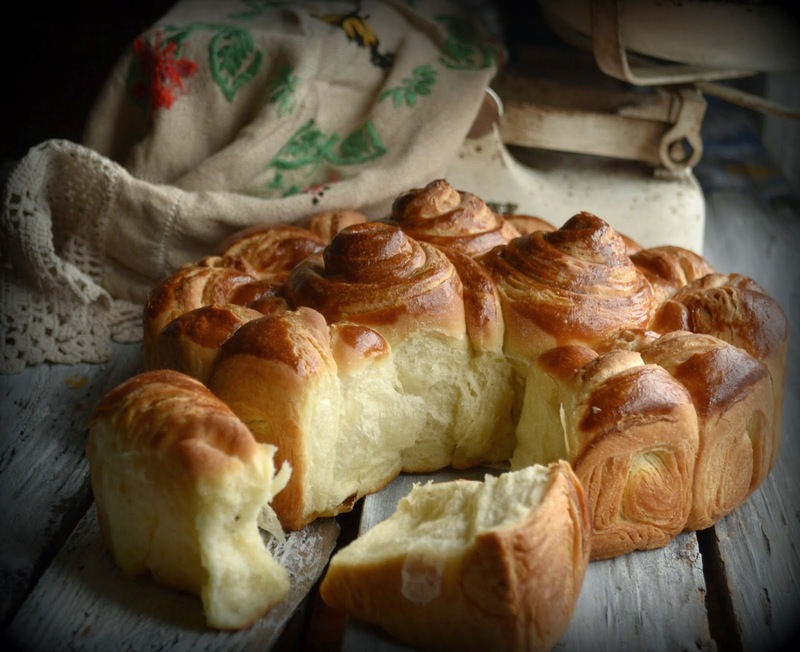 In my native Serbia, many type of breads are made for Easter, almost every family has it's own tradition, but they all have one common denominator - they all look ornate and festive. 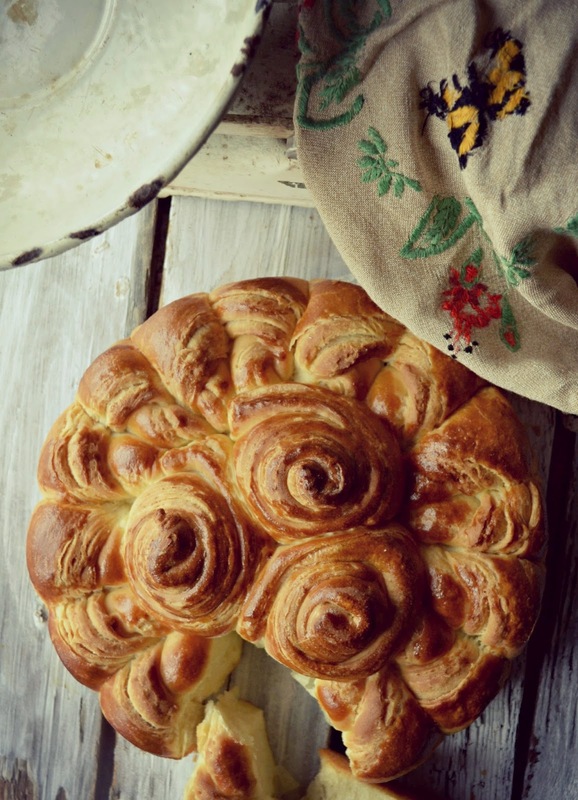 There are some beautiful examples of the bread that I made here and here. 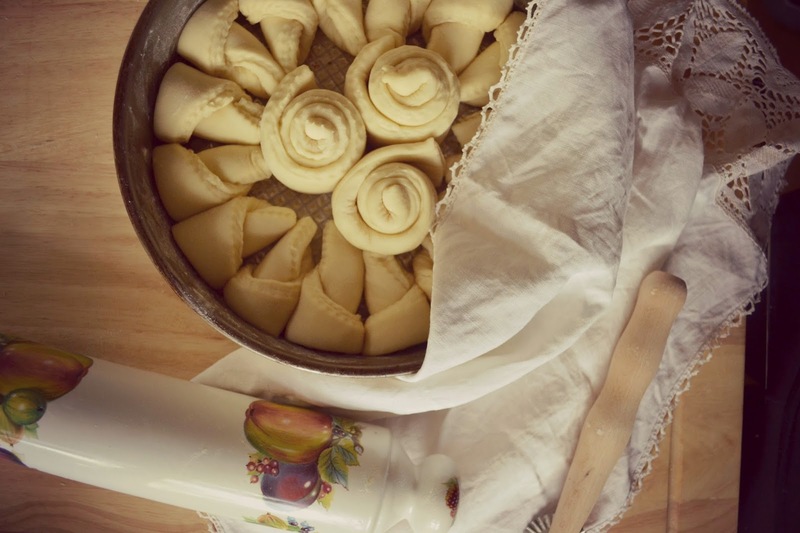 Dissolve the yeast in warm milk with a little bit of sugar and flour, let it rise, then mix with the rest of the ingredients, forming a nice smooth dough, and leave it to rest until doubles in size. 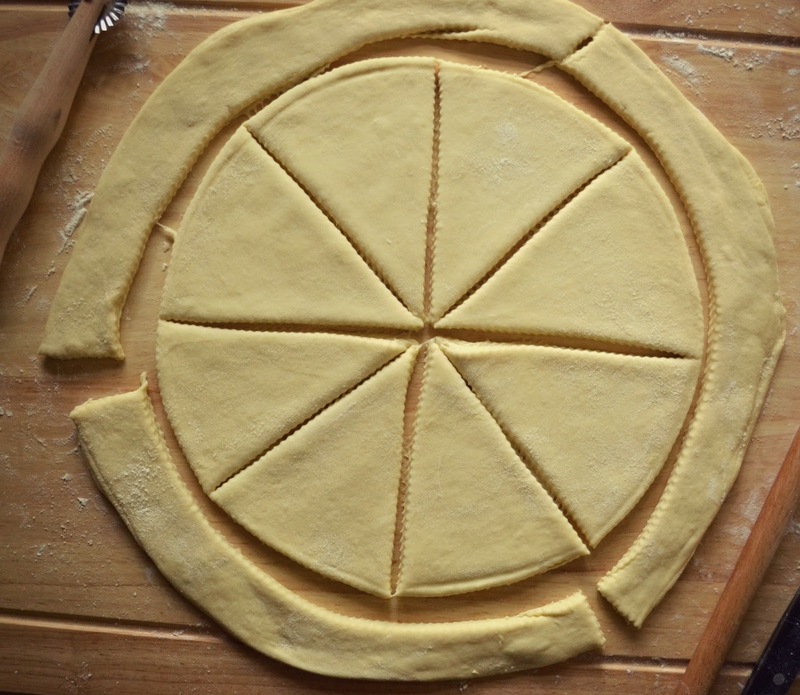 Divide into 8 equal pieces and roll circles about 25 cm in diameter. Spread the butter in each one (except for the last) and put stack one on the top of the other. Leave it to rest for 15 minutes and roll it out to make around 50 cm large circle and cut as shown below. 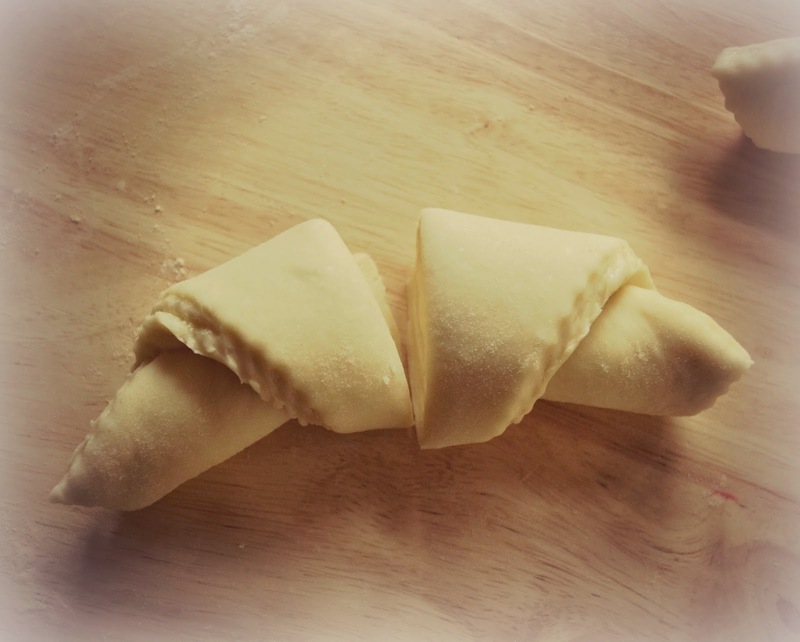 Roll the triangles, cut them in half and then arrange them around a battered tin, as on the picture above. Use the long strips to roll roses that go in the middle. Cover and let it rise once again, until all the dough pieces come together. Bake in a preheated oven 200C/400F/gas 6 for about 50 minutes, cover with parchment paper half way through to avoid burning.